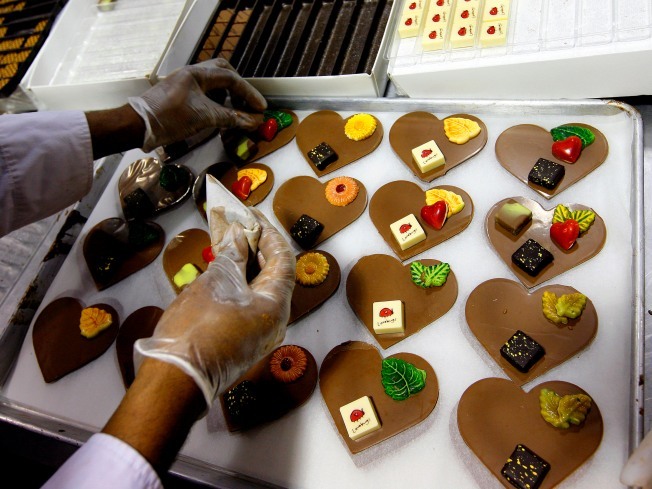 Heart shaped chocolate are a popular gift on Valentine's Day. Valentine's Day is coming. Do you know where your chocolate hearts are? Valentine's Day is hard for me but here is your chance to impress your date, wife or whatever floats your boat with an awesome gift and some good knowledge to boot. Marc Summers, of Double Dare game, tours the Palmer Candy Company to see how they make their candy hearts. Remember Valentine's Day is next week.